I found myself in a fight the other night, comb in one hand and oil in the other. I had been there for an hour trying to calm my hair from the frizz that just kept getting bigger and bigger by the second. Since this is a constant battle for me and many of you out there. I decided to a little research out there so I can to see how we can fight this monster we battle on the daily called the frizz. After reading all these extensive articles that I felt just didn’t get to the point. I finally lucked out and found this great article, I decided to share it with you today, as well as some recommendations from me on top products to use. Since all hair is different finding what works best for you might take some experimenting. However, you can usually tackle frizz and flyaway’s with a few styling and care tips. One of the first ways to fight frizzy hair is to look at how often you wash it. Washing your hair every day can strip it of its natural oils, causing it to frizz up. Wash your hair sparingly, allowing a few days in between washes, and if hair starts to feel too oily or greasy then use a dry shampoo to soak up any excess oils. The drying process can make all the difference when it comes to frizzy hair. Heavy-handed towel drying can roughen up hair cuticles, causing it to look frizzy. To prevent this from happening, don’t twist or rub your hair with a towel as this can lead to breakage and flyways. Instead, blot and press your hair with a towel. Experts recommend using a super absorbent microfiber towel as it produces less friction. When you’re washing your hair, the type of products you use can play a big part in fighting frizz. Use styling products that contain silicone as it can help tame frizzy hair. The thicker and coarser your hair, the more silicone a product will need. Also be sure to choose products that don’t contain alcohol (most hair sprays and mousses do), as they can cause hair cuticles to absorb moisture, leading to frizz. The products and tools you use can also play a big part in tackling frizzy hair. Take your blow-dryer, for example. If you haven’t upgraded your blow-dryer in a while then maybe it’s time to do so. To help you in your fight against frizz, opt for an ionic blow-dryer. Ionic blow-dryers compress hair cuticles and lock out moisture, helping to prevent frizz. Heat styling can damage hair, resulting in frizzy and frayed hair. To make sure that you protect your hair from excessive heat, apply a heat protecting serum or spray before you blow-dry or use heat styling tools on your hair. There are plenty of styling products and tips and trick to help you in your fight against frizz. Sometimes it can be as simple as smoothing hair down with a frizz control serum or oil. 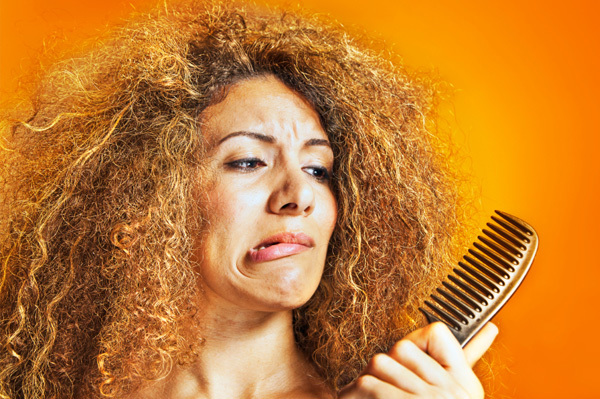 The kind of hairdo you wear can also affect the frizz factor. For example, you’re less likely to experience flyways when wrapping your hair into a low bun as opposed to a tight ponytail. Treat your hair once a week with a deep conditioning or oil treatment to help your hair stay looking at its best. Those with medium to thick hair should try a deep conditioning treatment. Those with finer hair are better off using hot oil treatments as these won’t weigh down your hair. Now you can’t fight frizz without the best products, here are my recommendations to get you styling even If you have curly, straight, wavy, or unruly hair. This serum works in any weather to control curls, frizz, and flyaway hair. So whether you’re caught in the rain, or trying to look cute at an outdoor party on a humid day — you’re covered! A styling spray that will keep your hair straight for three days? Sign us up! 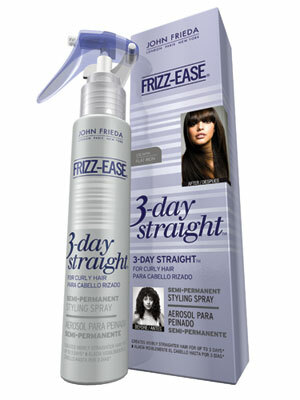 This product blocks out frizz as you straighten, sealing in the style for multiple days (or until your next shampoo). Even if you get kinks while you’re sleeping you can just run your straight iron over those spots and the semi-permanent styling spray will reactivate itself! 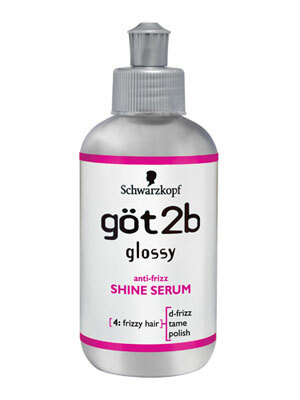 If you have color treated hair, this anti-frizz serum is safe to use. Glossy will give normal, dry, coarse, or even chemically treated hair a super sheen look and it’s less than $6 — you can’t go wrong with that. Sick of your frizzy, fried locks? Try a replenisher! 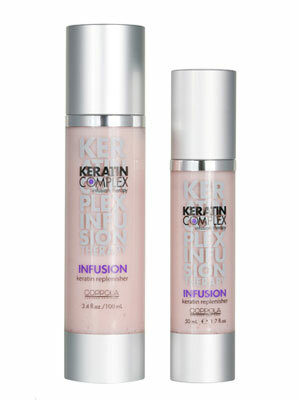 This product opens the hair cuticle and infuses it with Keratin proteins. That’s a fancy way of saying it acts as a mask during blow drying or ironing, thus eliminating frizz and flyaways. Now that you have some great tips for controlling the Frizz monster, hopefully this will help in your everyday styling. What products and tips do you use to help fight the Frizz? let me know in the comments below. V…is for Valentines Day! OOTD!